VIEWING PARTY AND HUGE GIVEAWAY! This is open to any and all in the community. 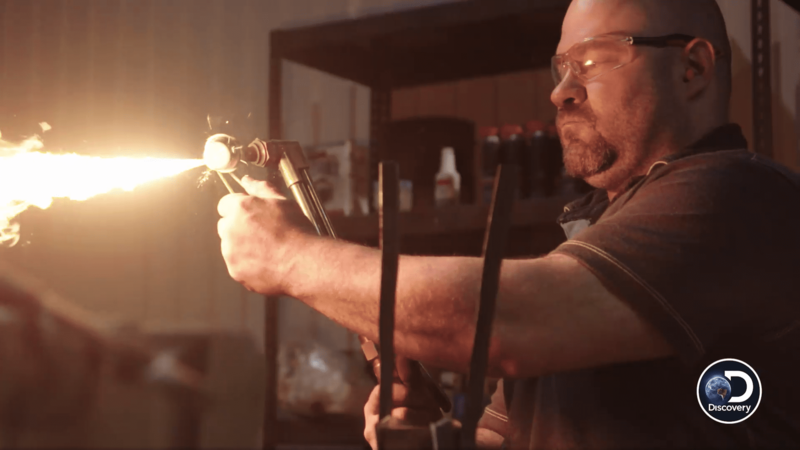 Meet and greet with George Cramer owner of The Village Blacksmith and watch him battle it out on the big screen for Discovery Channel’s new competition weapons building show : Master of Arms. George will be doing a massive giveaway of nearly $600 worth of Village Blacksmith merchandise, INCLUDING a hand forged blade. Enjoy drink specials all night at Your Pie Pizza in Gloucester as you watch the weapons building competition on their huge 8 ft wide screen with Bose audio. Come support local businesses and just to have an overall great time! Learn some little known, behind the scenes details from George and hear stories on the builds and how he got on the show!